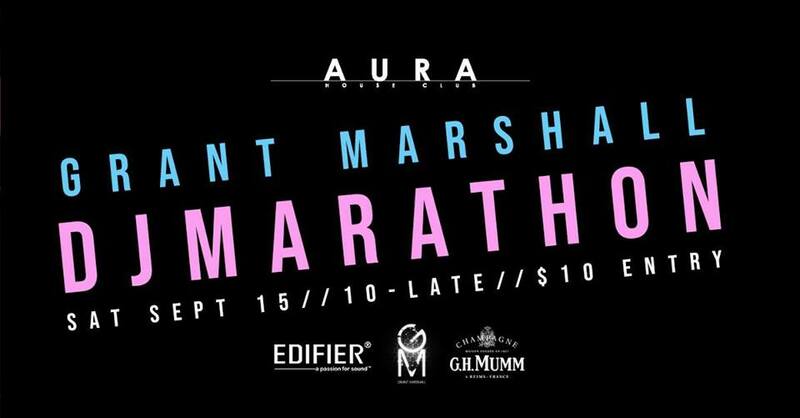 AURA welcome back for one night only Auckland’s premier good time house DJ, Grant Marshall. You are invited to join us on Saturday September 15th for 6 hours of his most loved tracks as Grant plays from doors open till doors close. We have it on good authority that Grant thinks 6 hours is a walk in the park so let’s get along early make him work. While Grants prize is crossing the finish line yours could be sound equipment with prizes kindly provided by Edifier.